Original Name of Cardin, Oklahoma. 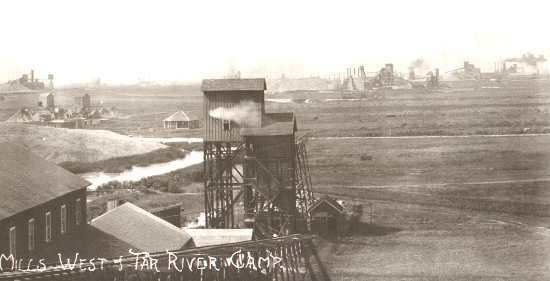 Lead and Zinc mines west of Tar River, 1917. Tar Creek runs right through the town. Cardin was a city of mines and mills. Some of the mines were the Dorothy Bill, Rialto, John Beaver, Goldenrod, and Croesus. 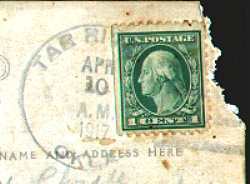 1917 postmark of Tar River, Oklahoma post office. 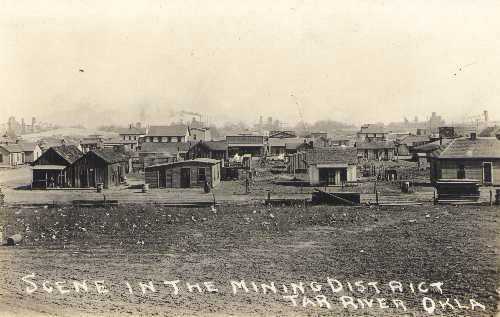 Wooden shanties with no modern conveniences were where the miners lived at Tar River, Oklahoma. 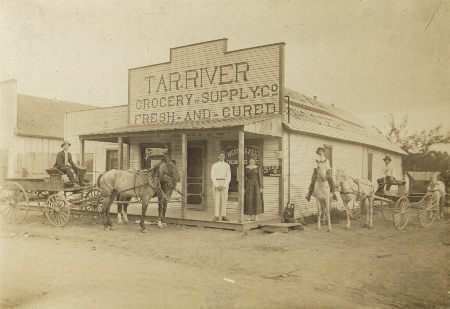 Another early business was the Tar River Grocery and Supply Company. The wagon in front of the store is the delivery wagon.